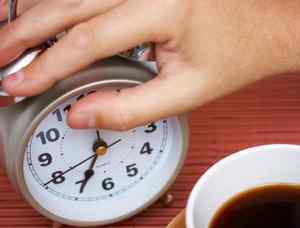 How To Develop Effective Time Management Skills ? Time management and organization can make or break your success in everything you try to do in life, and on the long run it’s better to do it sooner rather than later. You see, if you try and look back in retrospect you will come to realize that the times when you have been the most productive, were the times when you were most organized. This is perhaps the most important thing when it comes to making that huge step forward, and start doing things the right way. The truth is, it’s more than that. The effective time management is a process, chain of techniques if you will, that not only make sure that we are on our best when it comes to spending our time, but also gives us the opportunity to know we are doing the best we can, and taking all we can actually take. Despite all that, it also gives you the pleasure to enjoy planning and deciding what is the best thing for you to do, when, and how much. Effective time management can do all of this for you. Pure determination can only lead you half the way. Just imagine whether the highly driven for success athletes can go all the way just by desire. Or even just ordinary people that really need to do something challenging. Can they succeed in doing what they want? Maybe they can, but it will be more daunting than ever, and the conclusion will result in losing a great amount of time, which instead could have been used for something entirely different. Today we see time management as an essential tool used by everyone in order to achieve the desired results. Big corporations are trying this tool on their employees, institutions hire experts, and people seeking help from devoted personal trainers, etc. The truth is this tool is most helpful lying in your hands. You see, the thing is that nobody knows your limits as much as you do, and not a person on earth can tell what is more or less important to you than yourself. Yes that’s right. You are the most suitable for the task. Experts can show you techniques, or teach you some tricks, but you, yourself, must do the rest. This is what i essentially realized, and want to write about today. I will delightfully try to point to some important hints and tips on how to organize your time, and display some effective time management techniques that will show you step by step. But even my friend back me up on this one when I say that you are the one that have to do the rest. Effective time management is nothing else but a personal undergoing action in order for YOU to be efficient and successful. At the very start on this one I must tell you that doing good, efficient and effective time management is actually a matter of knowing a couple of basic principles. I will start by mentioning them in an order that will most likely make your approach easier. Also I will give some explanations. Knowing your goals, and deciding what you truly want from your live, is the first thing you should cover when starting with this. Well, for one thing, time management is going to help you go where you want to and achieve things you desire, but how on earth can you go somewhere and achieve something when you don’t even have a clear goal. You must set your course, and then follow it. So just try and think for a second what is that you truly want from life. It’s not as easy as it seems. But take your time slowly because once you figure it out, all the rest will come more quickly. Write it down if you like. This will also benefit you a great deal. That way you will know latter for sure whether you are doing the desired progress or not. But believe me, you will. Keep in mind that when you are doing this you should be rational and know your limits as well. Try and push yourself, but also be objective and you will see how it goes. So just take your time with this one, and once you are all ready and set just go to the next step. This is maybe as important as the first step. Ok maybe a bit less, but what I want to say is that it is also playing a crucial part as well. Ever asked yourself why people always end up failing their previously constructed plans? Well as far as I know, one of the things to blame is the massive optimism when it comes to deciding how much time we are about to spent. You see giving yourself to much obligations, and cutting on free time, or activities that you really enjoy doing just for the fun of it, can result in quick failure of the whole idea. I mean come on, Is it even fair to stress your body or mind so much that it comes to the point of non-productiveness? Or just stop enjoying whatever that you really enjoy? Of course it is not. Not just that it’s not good for you, but it will sabotage the whole thing you are trying to achieve. I know that this one is not a new thing for you guys, and since you are here looking to learn some stuff on how to improve your life and productivity in life, you all probably know this. But I must mention it again, because it’s really important. The thing is, you are trying to make more of your day, and that’s why you are doing effective time management at the first place. But while making your effort to save, and use as much time as you can rationally, you probably waste some time that you are not aware of. Now this may be a shock to some, but studies and statistics have shown that all of us are actually spending time on people that force us into doing that. The thing is there are some people as I said that always want to take a portion of your time, usually for some favor. Or there are some that just don’t have something to do, and try to waste your time every time they are facing loneliness or boredom. Of course maybe some of them are not even aware that they are smashing your productivity and the worst part is, we are not aware too. And make no mistake, this can be a big problem not only for your schedule, but your productivity in general. So whatever the reasons are, the thing one must do is limit the time you waste with those kind of folks. But how to do that if we are not even aware of them? Well for start just think in retrospect which people in your live have taken your precious time, smashed your productivity, and even drain your energy. Yes that’s right, energy. Even if we are not aware of, we can tell for sure when we feel full of it, or when we actually don’t have it. And one thing that I learned is that some people can take more of your energy just by talking to you, than you can spend in entire day. Yeah, I know many of you are now agreeing with me on this one. So once you know for sure which are these people, just avoid them, or if that is not an option (I say this because nowadays we all sometimes must be with people we do not quite like) just try to say NO to them if you sense they are wasting your time, or just learn how to ignore them, and not attach emotionally to what they are saying. By saying NO to people you do not want to be with, you are for sure gaining a lot of time to add up to your daily schedule. Now this is simple logic, the more time you have, the more productive you are. But I’m not saying about expanding your wake hours, but instead expanding your DAY. You see, centuries ago people knew that they are most productive during the day. They felt full of energy on sunrise, and probably figured it out that there is no reason for one to be awake in the middle of the night. Today, the number of people who are still waking up early and going to bed couple of hours after getting dark is greatly reduced, of course, the reasons for that are well know and pretty much obvious. Anyway nowadays scientists have proven that we are full of energy during sunlight, and it is best for us to go to bed early in the night. Now I’m not talking about going to bed in nine o’clock p.m., but it’s certainly dull to be awake at three o’clock in the middle of the night, if you absolutely don’t have to. Start implementing this and you will soon feel the difference. Well, with all others stuff mentioned it leaves me with only one more to wrap this up. Your schedule or time management if you like, must consist also with something you are fond of doing. Something that gives you energy to last the day, or something that just by the thought of it makes you feel good. Whether this is hanging with your family, spending time with your kids, seeing your friends, walking your dog before you go to bed, swimming in the pool, playing hoops backyard, or maybe curl up and watch a movie or read a book, it doesn’t really matter. What matter is that you put this “activity” on the end of your day. That way you will have something to hold up to, and every time your schedule is wearing you down, you will have the upper hand on the situation just by knowing that there is something that waits you after all your hard day. That’s it. It is all that I consider being important when it comes to managing your time, and all that really makes a difference. So go on, and try to implement these things to your everyday life, and then by managing your time you can really change your productivity, improve your life and enrich your healthy lifestyle too. Have you ever tried managing your time and have something to share with us about that? 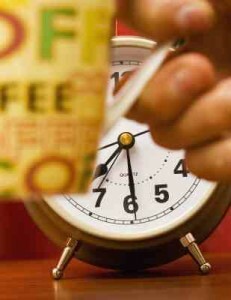 Are you a fan of an effective time management? We will love to hear your experience on this matter.